Classes and Programs Offered at our MONROE STREET LOCATION FREE for Express Club Members! Go M.A.D. Fitness on Monroe Street is the largest premier health club in Southeast Michigan offering many classes and programs designed for all fitness levels. Below you will find all the classes and programs we offer along with the schedules. Please feel free to try a class and experience the difference Go M.A.D. Fitness can provide for you. With the epidemic of childhood obesity our Kids Fit classes are a great way to show your kids that working out is a blast and does not have to be boring! Get a group of your child's friends together and join us for an exciting workout! Children ages 12+ can join and have full access to the facility. Team up with Go M.A.D. Fitness and let's get our youth moving! 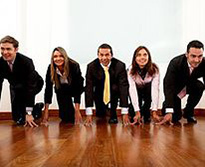 With today's corporate world being less and less active it is extremely important to keep your employees active. Having corporate fitness programs in place not only improves your employees health but it has been proven that it actually increases productivity and helps lower premiums! We offer Lunch & Learn programs where we come to you and offer a PowerPoint presentation that is fitness and nutrition based. Give us a call for our corporate programs! 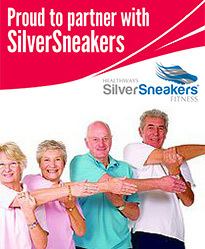 We only require five or more employees to offer our corporate wellness discounts!